Imagine taking a long-haul flight and being able to recline, kick back and stretch your legs comfortably for a good rest. Now, imagine being able to do that in a mini-room with your family or friends – on a plane. 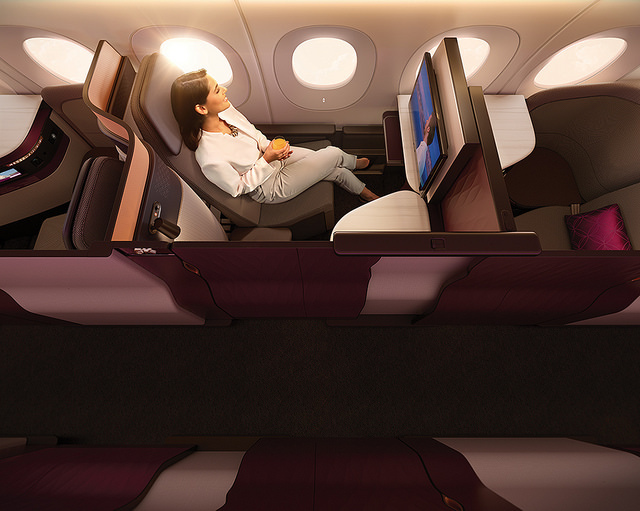 Qatar Airways has launched new seats in its Business Class sections named QSuite, a customisable private suite that features the first double bed available in Business Class. Each QSuite seat, crafted with luxurious details such as hand-stitched Italian leather and satin rose gold finishing, is installed with privacy panels that can be stowed away, allowing passengers in adjoining seats to create their own private room. Bigger groups will enjoy the centre four seats in the cabin. Adjustable panels and movable TV monitors on these seats allow colleagues, friends or families travelling together to transform their space into a private suite, so they may work, dine and socialise in the middle of a long flight. 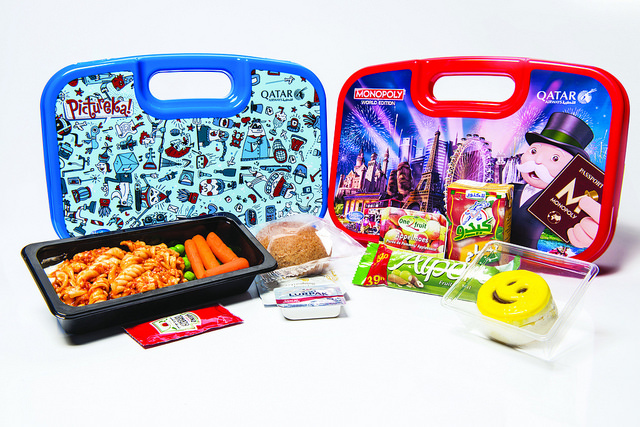 Qatar Airway’s current in-flight kids’ menu and entertainment offerings. To complement this new customisable on-board seating, Qatar Airways is also launching a new food and beverage concept with a menu of new dining choices. Among other offerings, the new Business Class menu now offers a selection of snack sharing dishes available for passengers throughout the flight. The airline has also launched a revamped inflight entertainment system. Oryx One’s interface has been redesigned to make it even easier to surf content and choose from up to 3,000 entertainment options, which is the highest number in any airline. The new QSuite concept will be retrofitted onto the existing Qatar Airways fleet from June 2017.